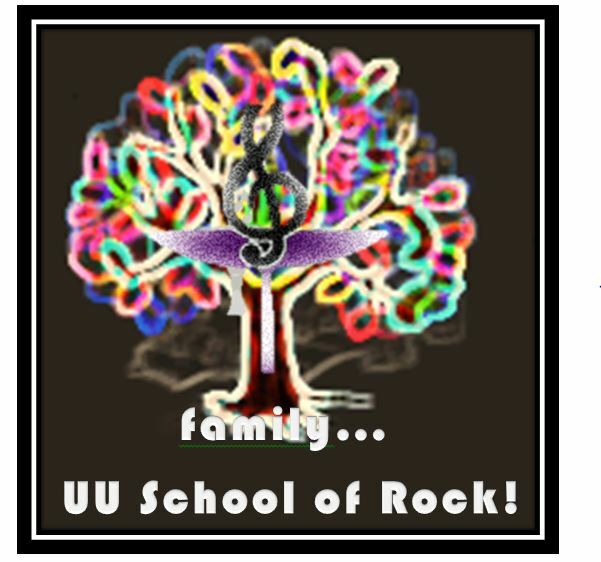 Posted on January 1, 2019 by restaff| Comments Off on 2018-19 UU School of Rock! The UU School of Rock is First Parish of Chelmsford own Rock and Roll band! If you are one of our youth in 6th through 11th grade and love music come and join us. Our wonderful band music director Brian Snow and band members are happy to make you part of the band. All you need is a rockin’ attitude and love music! Ashanti, Catherine, Heather, , Kevin, PJ, and Eric! All rehearsals will be at the church. You are not required to be at all practices or performances; so rehearsals will be as needed. We will all sing our very best and have fun. We will be polite and respectful to each other and everyone. We will listen to the UU School of Rock Band leaders and each other. We will all make music with confidence and joy in our hearts. During rehearsal we will focus on music. We will honor our covenant and others and show up on time! We will Rock the House! 2017-18 the UU School of Rock band music director is Brian Snow and co-leader were Virginia Adams. We thank them both for dedication and generous hearts! 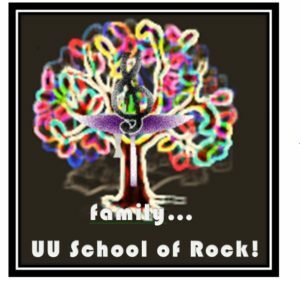 *The UU School of Rock is going to be managed by RE Faith Formation after Eliot Mayer retired last year June 2016. This entry was posted in UU School of Rock!. Bookmark the permalink.